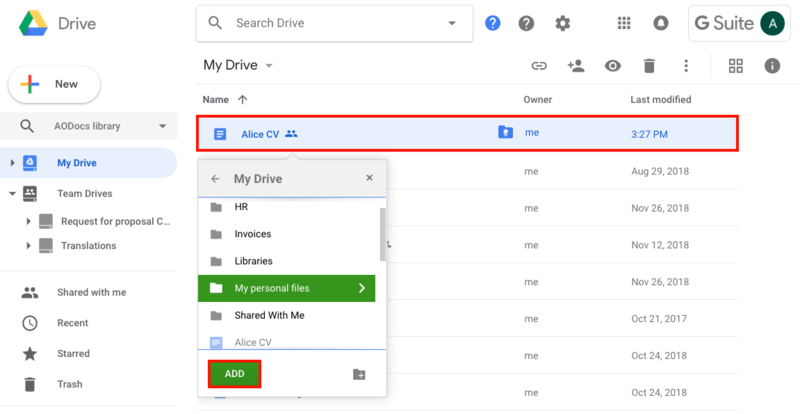 In Google Drive you can add the same file or folder to multiple locations. This means the original file or folder is accessible in different locations without being duplicated. 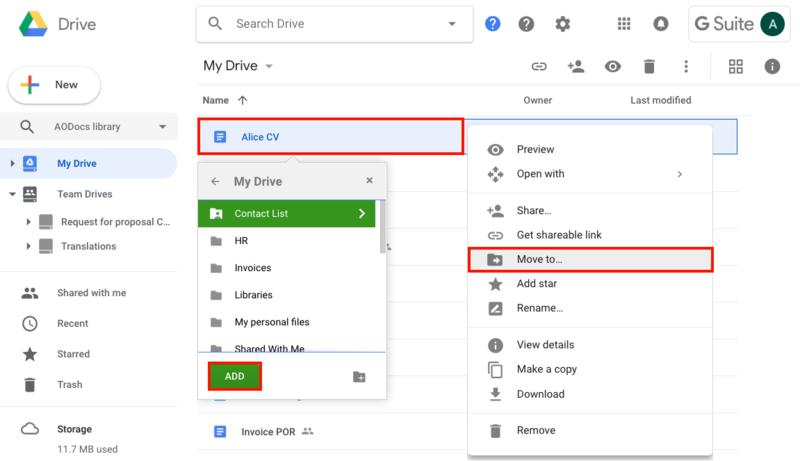 – It can be added to multiple Google Drive locations. – It can't be added to any other AODocs library or folder. 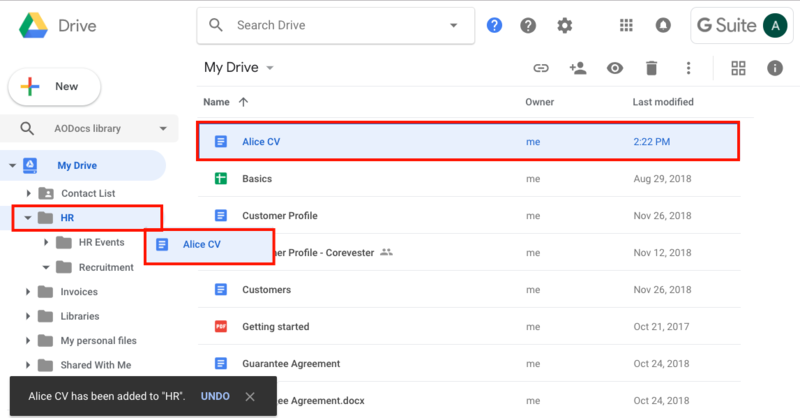 There are three methods to add a file or folder into another location in Google Drive. 1. Select your file or folder. 2. Press and hold Shift+Z (PC and Mac). 3. Choose your target folder. 4. Press the Add button. 1. Right-click your file or folder. 2. In the pop-up select Move to. 4. Choose your target folder. 5. Press the Add button. 4. Drop file or folder into your target folder. A banner appears to confirm the item has been added to the target folder. So am I right to say that if your file is managed by AODocs then it cant be added to another folder? It can only be moved? If your file is managed by AODocs, you can't add it to more than one location in AODocs, whether in the same library or in different ones. But you can add it to a personal Drive Folder (for example only shared with you). Then, of course, you can move the files from its location.